The distinction between “Eastern” and “Oriental” Orthodox Churches is often not only untranslatable into other languages, but also unfamiliar even to English-speaking people. It is a convention recently established for distinguishing between the two different Church traditions of Eastern Christianity. With the term “Eastern” we refer to the one Church which is constituted by the four ancient Patriarchates (Constantinople, which enjoyed a primacy of love and honour, Alexandria, Antioch, Jerusalem), the modern Patriarchates of Russia, Rumania, Serbia and Bulgaria, and the autocephalous Churches like Cyprus, Greece, Poland, and so on. This distinction in autocephalous Churches has been made from ancient times for administrative reasons, although these Churches compose one Church communion, fully identifying doctrine and Church life throughout the whole of the Christian era, and recognizing as expressions of this identity of the One Apostolic Faith, the seven Ecumenical Councils. Due to the great movement of emigration, the “Eastern” Church is spread throughout the whole world today. With the term “Oriental” we refer to the five ancient Churches of Egypt, Syria, Armenia, India and Ethiopia. They practise the same ancient tradition and are organized as autocephalous local Churches. Due to the same emigration movement during the last two centuries, the “Oriental” Churches are also to be found in all parts of the world. The breach of ecclesiastical communion between the “Eastern” and the “Oriental” came about in the fifth and sixth centuries of our era as a result of controversies about the relation between the human and divine natures in Christ which began at the Council of Chalcedon (451) and continued for at least two centuries. These controversies involved also the whole of the Church both in the East and in the West. The “Eastern” Church together with the Church of the West accepted the Christological “horos” of Chalcedon, acknowledging this Council as the Fourth Ecumenical Council in Church history, while the “Oriental” Churches rejected the teaching of this Council and never recognized it as the fourth one (accepting only the first three). These two Church traditions of the East, although they have led a separate historical life, show today very great similarities in dogmatic faith, ecclesiology, liturgy and spirituality. This is due to their common fidelity to the ancient tradition, thought, life, and principles of Church authority and administration. This became evident after the great schism between Rome and the “Eastern” Church (1054). These similarities have been made more manifest in the contemporary ecumenical movement. They have encouraged reciprocal trends on both sides towards re-establishing a particular and closer relationship between them today. They have also stimulated the organization of a special dialogue for restoring full Church communion amongst them. Throughout the 1500 years since Chalcedon, there have been several attempts at reconciliation, often undertaken by Byzantine emperors, but also by others. Several times the two sides came close to a reconciliation; but also, to this day, the breach continues. Aarhus, Denmark: 11-15 August 1964. Bristol, England: 25-29 July 1967. Geneva, Switzerland: 16-21 August 1970. Addis Ababa, Ethiopia: 22-23 January 1971. 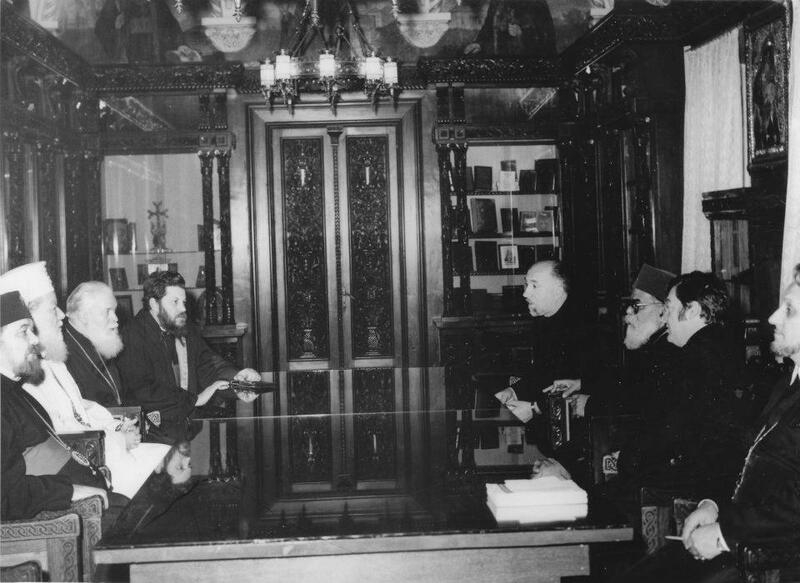 These conversations covered most of the issues on which agreement was necessary before communion could be restored. We were privileged to be the organizers and to be among the participants of all four conversations. The full reports of these conversations were edited by us and published by The Creek Orthodox Theological Review, the half-yearly official publication of the Holy Cross School of Theology, Hellenic College, 30 Goddard Avenue, Brookline, Massachusetts 02146, USA (Vol. X:2, Winter 1964-65; Vol. XIII:2, Fall, 1968; Vol. XVI:1 and 2, Spring and Fall, 1971). We are grateful to the Review for permission to reprint a selection of the papers and the texts of the four agreed statements. The selection is somewhat arbitrary. No selection can hope to do justice to the multifaceted richness of all the presentations and discussions which together occupy more than 600 pages. Those of us who were present were grateful to God for the mostly joyful, at times painful, but always fruitful, learning experience of the four unofficial consultations. We want very much to share this experience with others who are interested and this is the purpose of this modest publication. We began our joint efforts in 1962 to organize the Aarhus consultation. There was much scepticism in the beginning about the possible benefits of taking up an issue which had frustrated greater persons in previous centuries. But ours is an age of frequent ecumenical contacts, and our informal gatherings at various meetings of the World Council of Churches gave us new hope. We were both in Geneva at that time, Metropolitan Gregorios (then Fr. Paul Verghese) in the General Secretariat of the World Council of Churches, and Professor Nikos Nissiotis at the Ecumenical Institute in Bossey. We are very much indebted to the Faith and Order Commission which consistently supported our efforts, viewed our meetings as a primary concern towards re-establishing Church unity and financed them. We are especially grateful to Dr. Lukas Vischer, former Director of the Secretariat of the Faith and Order Commission, who gave us encouragement and support and also took an active part in all four meetings. We express now our thanks also to the present Director of the Secretariat, Prof. William H. Lazareth, who has enthusiastically and efficiently commissioned and made possible the present publication. Our initial success at Aarhus in 1964 was a joyful surprise. 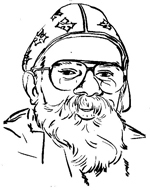 Outstanding scholars of both sides, belonging to two traditions not in communion with each other for a millenium and a half, could confess together that “we recognize in each other the one orthodox faith of the Church.” We were criticized by non-participants, even by some very prominent theologians, for being too hasty in making such a statement. But most of the participating theologians were interested in pursuing the dialogue and clearing the issues. The Churches have all stood by us and encouraged us. In this connection we owe an enormous debt of gratitude for the enthusiastic support we received from His Holiness Patriarch Athenagoras of Constantinople of revered memory, and from several other heads of Churches. From the beginning our unofficial work was meant to be preparatory for official action to be taken by the Churches themselves. It remains that, an offering to be accepted and used as deemed fit by the Churches. We have also in our third consultation in Geneva (1970) proposed a series of practical steps to be taken. In the light of our experience and discussions, we would respectfully urge our respective Church authorities to explore the ways and means for continuing the work which so hopefully started with these four unofficial consultations. We regard this question as an urgent and most profitable one in the service of Church unity as a whole. We are certain that if further official steps on behalf of our Churches were taken, we would, with the grace of God, witness an encouraging development in the near future towards sharing in the one unbroken Church tradition.